George has been playing the bagpipers for over 35 years. He has competed in both solo and Grade One pipe band contests. 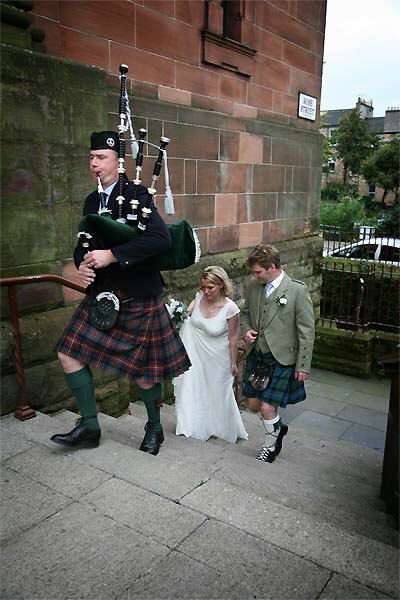 Since retiring from competitive piping George has turned his attention to the wedding industry and all other appropriate occasions. George offers a reliable, quality service which he has provided since 2006. Donald Kirkland 28/03/16 - We had a fantastic day and it was made all the more special because of George! He was punctual dressed very smartly and he had both the bride and groom in tears with the lovely traditional music he played. If I ever need another piper I will be hiring George .